If you want to strength train but don’t have easy access to a gym, try using resistance bands. Using resistance bands gives you the workout you desire without the need of carrying heavy weights or using up a lot of space. With bands you can get a quality workout with bands at home, at the clinic, or on-the-go. Unlike kettlebells or dumbbells, resistance bands are both portable and space-efficient. CanDo® Resistance Bands are flexible and come in different color-coded resistance levels to make workouts as challenging as you want. Levels range in order of resistance from least to greatest resistance: tan, yellow, red, green, blue, black, silver, gold. Over time as you grow stronger you can progressively work you way from the light resistance level bands to the heavy resistance ones. 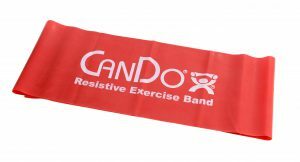 For personal or clinic use, CanDo® Bands come in a variety of different forms and materials to suit every need. If you are allergic to latex, there is a latex-free version band available. If you prefer to use resistance bands on a roll, CanDo® Bands come in 6, 25 and 50-yard rolls. For heavy clinic use, perforated 100-yard rolls are available so band pieces can be easy ripped off with no scissors necessary. CanDo® Bands are also available in pre-cut forms. The advantage to pre-cut bands is the fact that you don’t have to unravel the roll and measure how much you want. Scissors are not even necessary to cut the band. Pre-cuts come already cut, just open the packaging and get started with your workout. They come 5 inches wide for more contact with your body if needed. The best part about bands is that they can help you achieve full body workouts without the need of any expensive equipment. Use the CanDo® resistance bands for arm, leg and core workouts. Before getting started with resistance bands, please consult your specialist to see if resistance bands are right for you. To check out our CanDo® Low Powder Pre-cut Exercise Bands, click here. 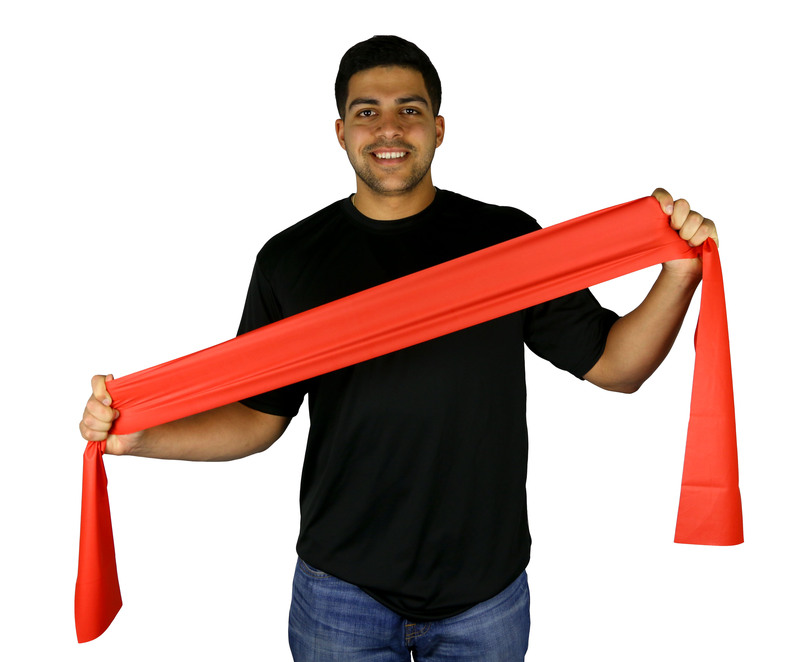 To check out our CanDo® Latex-Free Pre-cut Exercise Bands, click here.